Since its founding in 2010, Capital Institute has been seeking, along with a generous collaborative network of like-minded thought leaders and practitioners, to develop a framework that defines the Regenerative Economy we see emerging all around us. During the years we have been searching for that "source code," the Field Guide has contributed vital insights from the real world of regenerative practice exemplified by our storytelling partners. 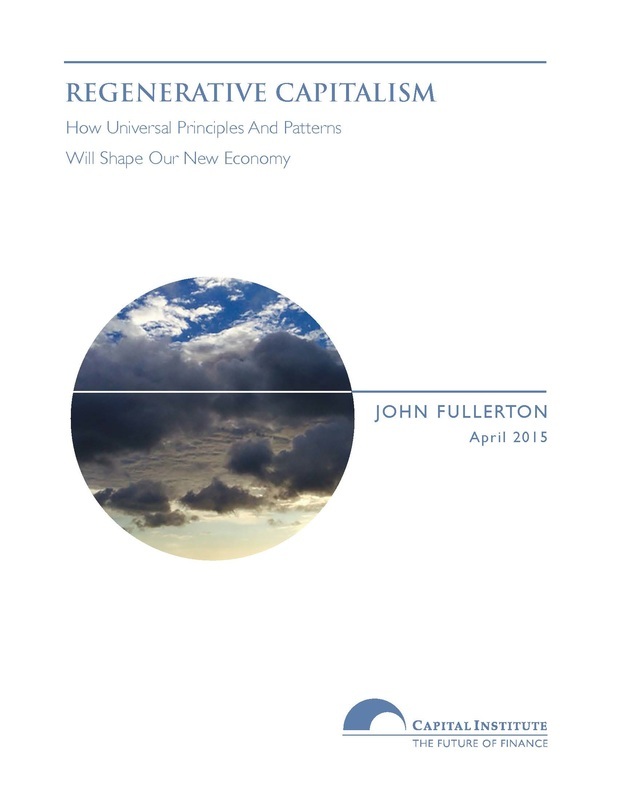 In April 2015, Capital Institute released Regenerative Capitalism: How Universal Principles and Patterns Will Shape Our New Economy. The paper delineates eight principles as inseparable facets of a regenerative whole. Nonetheless, we find that certain of those principles tend to dominate the narrative as each Field Guide story unfolds. To demonstrate the linkage between our theoretical work and practice in the field, we invite you to take a tour of our 8 Regenerative Economy Principles at the links to the right. On those pages you will find a description of each principle and also where we see it "showing up" in our Field Guide partner's work. It is our hope that once you have taken this tour you will come to a holistic understanding of what we mean by a Regenerative Economy.